Honestly, I don't know anyone who didn't grow up with or don't know National Book Store. It's the go to book store since I started schooling, until I graduated college, and up to this day that I have my own studying children. 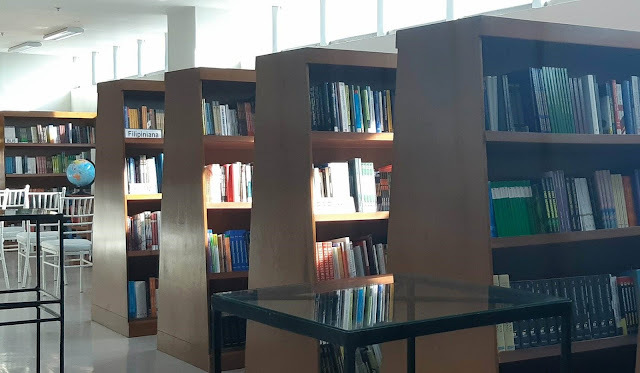 That beloved book store which has been around for 75 years, founded by Socorro Cancio-Ramos, has now stepped up by creating an institution for higher learning, right at the heart of Quezon City - NBS College. BS Accountancy - for students who want to pursue a professional career in accountancy and later on take the the CPA Licensure Examinations. BS Accounting Information System - for students who want to pursue a professional career in this field - professional business accountancy combined with computer systems. This course complies with the International Federation of Accountants standards. BS Computer Science - for students who want to study the latest standards and practices in Software Engineering and want to succeed in software solutioning. 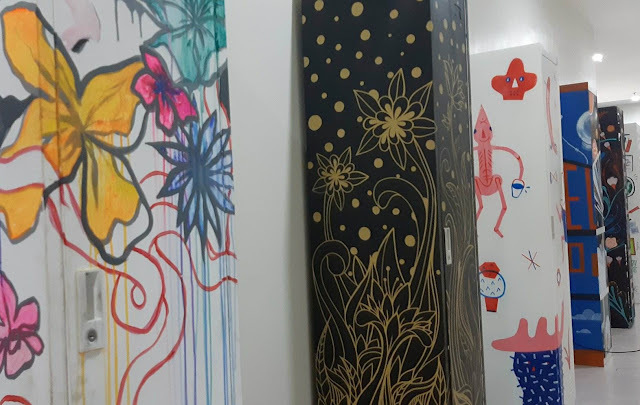 BS Library and Information Science - for students who want to be trained to harness a range of bibliographical and online tools to support teaching, research, and other services. BS Tourism Management - for students who want to be engaged in tour operating businesses with premium on entrepreneurial skills and trade planning. NBS College President, Mr. Adrian Ramos, introduced the highly competent faculty/board of directors and I was impressed by the academe experiences and backgrounds of each. They are backed up by years of academe leaderships and experiences from different top colleges and universities. It honestly gave me an impression that indeed NBS College has invested well not only on the financial side, but also on its time, effort, research, to ensure that they are offering quality education by putting the right competent people to help both the institution and its students reach its Mission and Vision. Adrian Ramos, President - is currently the VP and CFO of National Book Store, Inc.
June Genevieve Sebastian, VP for Administration and Academic Services - A double bachelor's degree graduate from Goucher College in Baltimore, Maryland and has a masteral degree from DLSU. She's a former executive director of Makati Hope Christian School. Cecilia Anido, VP for Academic Affairs - Dr. Cecilia Anido has masters and PhD degrees, and is a highly experienced and esteemed academic. She was previously an FEU VP for Academic Affairs and also a CHED technical panel member. Deborah Acosta - Cajustin, VP for Finance and Legal - Atty. Acosta-Cajustin is a UP Diliman graduate and law graduate from San Beda xcollege. She's currently a Law Professor in San Beda and the Finance and Legal Director of the National Book Store group. The media event was graced by Quezon City's Vice Mayor, Ms. Joy Belmonte and a number of City Councilors. When the Vice Mayor gave a speech, she expressed her full support to NBS College and is proud to have QC as its home. Why only offer these six courses? 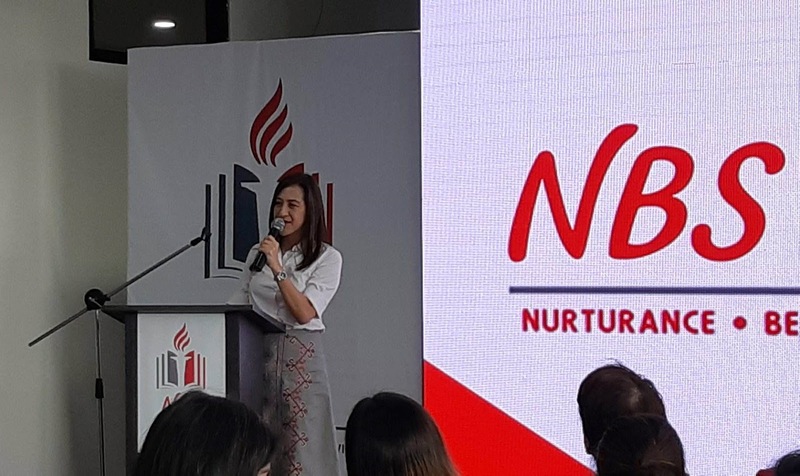 NBS College is offering these selected in-demand courses on its year of opening to ensure that their graduates have greater chances of being hired right after graduation. These are the courses or fields that most businesses need to run their companies. What will be the teaching method? NBS College's edge or game plan is perfect for today's youth, more than theoretical, they want to employ practical learning through simulation and practice of the student's learning. During a pocket interview, they will also be open to digital style of learning once the concept will be approved by governing bodies in education. Each semester will cost around Php25,000 above. But they will be offering an attractive scholarship and financial assistance grant to deserving students and the pioneer batch. Valedictorian/Salutatorian/1st Honorable Mention (Rank 1-3)- 100% free tuition and miscellaneous fees + free school uniform and books. Pioneer Batch - Scholarship grant of Php12,500/year for SY 2018-2019. Tuition per unit locked-in for 4 years. NBS Group Employee Rate - First 75% accepted applicants (employees or dependents) will get 20% tuition fee discount, if you didn't get in the cut, there will still be a 5% discount on tuition. Salary loans for employees are also available. After the Q&A, we were toured around the campus and I was honestly impressed. 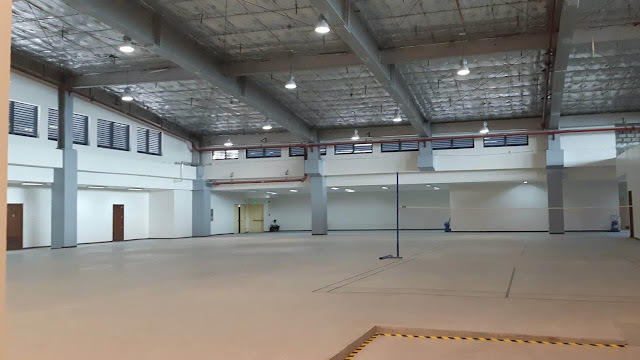 As a start, the two-floor campus is spacious, well-ventilated, student-centric, modern, well-planned, has complete facilities, and every corner/room is conducive to learning. Why would NBS College be a considerable school to enroll in? As a parent myself who attended the launch, I also had that question in mind. But after seeing their campus, the curriculum, learning about the school's mission and vision, and meeting their board of directors and some members of faculty, I believe, NBS College though a new player in the field of education, is a school that's worthy to be considered. This institution may be new but, NBS College promises to be an institution for higher learning founded on 75 years of unparalleled business tradition, which is National Book Store. A trusted name/business servicing the needs of parents and students in the country. It's a good college to be considered especially if you're going to be part of the pioneering batch or a top ranking student, because of their scholarship grants. Their board of directors and faculty members are expertly-experienced and with high caliber academic backgrounds will bring quality education to the students and equip each with values and discipline to make them globally competitive.